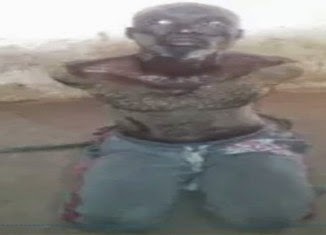 A man who specialises in supplying fuel and food to terrorists was this morning nabbed in Daban Shata in the suburbs of Baga, Borno State. The military intelligence had been trailing him till he was eventually trapped in the early hours of Sunday. He is presently undergoing interrogation. In another development, troops on patrol yesterday located 260 women and children in the outskirts of Chalawa village in Adamawa state where they had been held up while trying to escape from terrorists. They have now been conveyed back to their various communities in Madagali after undergoing the normal security profiling. Some of them disclosed that they had to abandon their homes to escape from the terrorists when Madagali came under their attack, while others were actually abducted and taken there. The terrorists were however sacked from the Madagali recently. A number of terrorists however died in an encounter with troops who caught up with them as they fled prior to the recovery of the women and children. Some of the terrorists still managed to escape with varying degrees of gunshot wounds. Others who were captured are now being interrogated by intelligence officers.